Ellen O’Farrell makes a charming, slightly ditzy heroine. As a professional hypnotherapist, she is experienced in helping her clients detangle their own relationships, but she’s not so good about her own. She hopes to find someone with whom to build a life, and she may have found him in Patrick, a surveyor and single father. 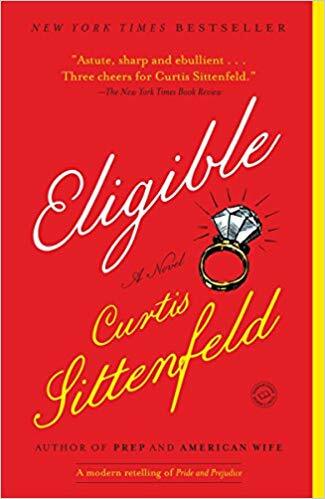 Things seem to be going well except for two issues—he still seems to be madly in love with his deceased first wife, Colleen, and he has a stalker, his ex-girlfriend, Saskia. Oddly, Ellen seems much more concerned about the dead wife than the live ex-girlfriend. Saskia seems rather harmless, even after Ellen discovers she already has her as a client under an assumed name. On the other hand, Patrick mentions Colleen several times a day. Ellen, who has a tendency to over-analyze things, begins wondering if she’s making a mistake. 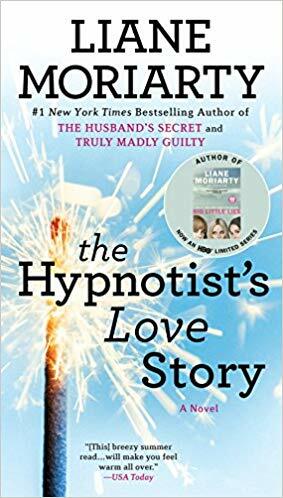 The Hypnotist’s Love Story is unpredictable. For one thing, it is a long time before you figure out which genre it falls in. Is it a thriller, a comedy, a romance, or chick lit? I always find Moriarty eminently readable. Her approach is empathetic and her characters usually likable, even the stalkers. This book is lots of fun, and I recommend it for witty light reading. Having read Juliana Gray’s second Emmaline Truelove novel, A Strange Scottish Shore, a few months ago, I decided to read the first. Juliana Gray, by the way, is a pen name for Beatriz Williams, known for her historical romances. It is February 1906, and Emmaline is finishing up the details for the funeral of her employer, the Duke of Olympia, when the Duchess sends for her. It seems that Maximillian Haywood, the heir to the dukedom, has not been heard from in months. He was off working at the newly discovered archaeological site of the palace of Knossos, but he has not sent in his expected report or responded to any messages. The duchess asks Emmaline to go find him, accompanied by Lord Silverton, a renowned womanizer but apparently also some sort of government agent. 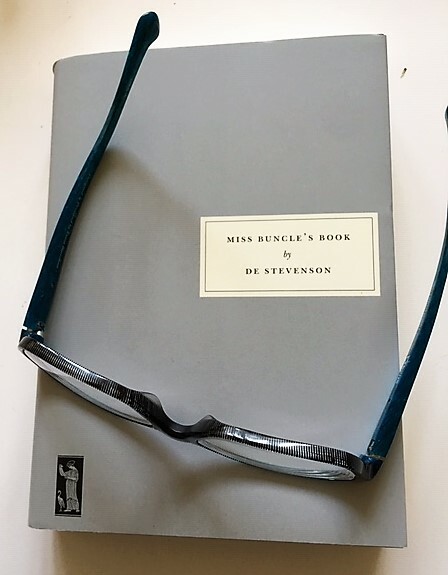 As Emmaline sets off on her journey aboard the duke’s steamship, she finds herself re-evaluating her first impression of Lord Silverton as a simpleton. She also can’t deny he has his charms. Unfortunately, nor can most of the women they meet. This is a fun adventure story with a bit of a twist—time travel! You’ll like the practical, redoubtable heroine, Emmaline, and the charming Lord Silverton and will probably have a good time along with them on their journey. Mrs. Custance, the vicar’s wife, is planning the annual church fête, but she is also wondering what will happen to her daughter. 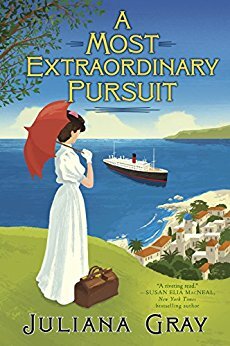 Cassie is currently tutoring Leonard Templar, but Mrs. Custance knows she is contemplating taking a caravan with her bouncing friend Joan and perhaps working at Joan’s school. Mrs. Custance once hoped that Cassie would marry George Brigham, Cassie’s childhood friend, but after the war George got engaged to an Italian countess. The engagement was short-lived, but Mrs. Custance has never forgiven George. George’s father, Sir James, also complains that George is an unsatisfactory son. George has done nothing worse than go into partnership with a tradesman. Any income in the house belongs to him, but it’s not keeping the house from going to bits under the care of two lazy old servants. In the meantime, Eustace Templar is trying to think of a way to get the Midges out of Prospect Cottage, his rental home. Eustace thinks it is the perfect home for his brother-in-law, Colonel Ashford, if only the Midges could be persuaded to move. Landscape in Sunlight is another enjoyable domestic comedy by Elizabeth Fair. It follows the village people through their everyday lives, with just a touch of romance. While I was looking for a cover image for Money to Burn, I noticed that someone has been republishing Elizabeth Cadell’s novels (with horrible covers) and that there were several I’d never heard of. I went ahead and ordered three. This is the first one. I have long read Cadell’s novels when I wanted something very light and funny. In general, they are mild romances with good dialogue, a touch of mystery, and a plethora of eccentric characters. Often they take place in a family setting. A writer who produced more than 50 books from the 1940’s through the 1980’s, Cadell did not always produce work that was uniformly good. Unfortunately, Consider the Lilies, which she published as Harriet Ainsworth, is not one of her best. 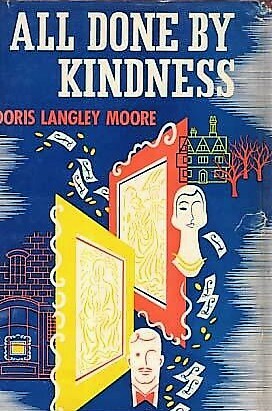 This novel is a murder mystery, which is unusual for Cadell. Caroline is visiting her sister Kathryn and family for Easter when the vicar’s sister, Miss Burnley, asks Kathryn to do her a favor by asking Mrs. Lauder to donate some lilies for the Easter service. Mrs. Lauder has loads of lilies, but she has never been known to donate any or to give anything else, for that matter. Kathryn, however, is the only person from the village that Mrs. Lauder will receive, so Kathryn goes, taking Caroline with her. Mrs. Lauder, a wheelchair-bound invalid who is nasty to all, refuses. Guy and Kathryn Heywood receive a surprising visit from Miss Parry, Mrs. Lauder’s companion. She asks Guy to read a letter that she believes threatens Mrs. Lauder and wants advice for what to do about it. Guy suggests she do nothing, since the letter was not addressed to her, but to Mrs. Lauder, and is ambiguous. Later, Miss Parry reports that the letter was stolen from her purse, and not too long after that, Mrs. Lauder is found dead. Her wheelchair appears to have slipped off the veranda and she fell out of it. But Inspector Avery Freeland seems to think the death is suspicious. This novel is not a murder mystery in the sense that we follow the investigation very closely. Rather, it is about how the murder affects the Heywoods, who live next door. They are on hand to witness a few strange incidents, and they are shocked to find that two people in their household may know something. The novel is also not a proper mystery, because there is no way anyone could guess the culprit, who appears so slightly in the novel as to be almost unnoticeable. Further, Cadell’s trademark character development is lacking. We have very little sense of any of the characters, even the main ones. so, this book was a disappointment. This is the third book I read for the R.I.P. challenge.